Research supports the use of weight and plyometric (jumping) training to aid running performance. Read all about it here, here, here, and here. I lift and jump about twice a week. I expect specific outcomes from the exercises I use. This is a discussion of my strategy. In running, the muscles and tendons act as springs. As the foot hits the ground, the muscles and tendons of the feet and legs lengthen and store energy from impact. 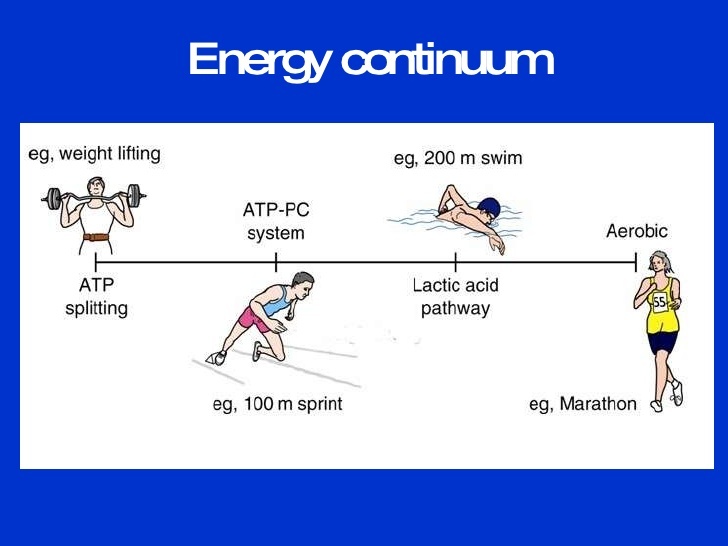 The stored energy is then released, propelling the runner forward through the gait cycle. (The Achilles tendon is an especially powerful part of the SSC equation.) This process is called the stretch-shortening cycle (SSC.) 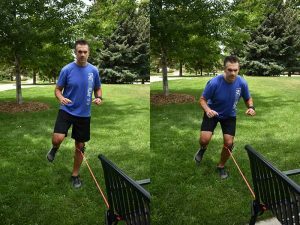 Plyometric training is a way to build stronger springs. There are many plyometric exercises to choose from. I use two exercises. single-leg hurdle hops: This consists of hopping over six low hurdles as quickly as possible. I try to land and balance in control on the very last hurdle. I rest then hop back on the other leg. I accumulate 50-70 contacts on each leg. two-leg pogo hops: This is a new drill for me. It’s different from a two-leg jump. I pull the toes up toward the shins when I’m in the air. I slap the ground hard on impact—using only the ankles—while keeping the knees nearly locked. I do 10 reps (20 foot contacts) x 5-7 sets for 100-140 total foot contacts. Calf raises: I worship at the altar of lower leg strength. I’ve been injured there and I want armor the lower legs against injury. 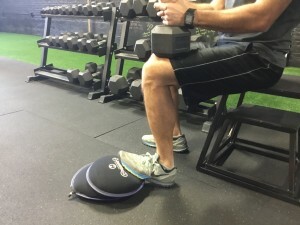 A calf raise is a great catchall for not only the calf muscles but the foot muscles and tendons too. Twice a week I do some sort of calf raise or jump rope. I work high weight/low reps and moderate weight/moderate reps. Step-up: I’m a trail runner so I step up. A lot. I’ve also had cramping issues in my adductors. My strategy for cramping is to a) go right at the cramp-prone muscles and make them stronger, and b) strengthen the supporting muscles so the cramp-prone muscles will have more help doing their job. This exercise does both. I work 5-10 reps typically for 2-3 sets. Various lunges: Running and lunging are biomechanically somewhat similar. They work the hip adductors, abductors, quads, and glutes very well. I lunge forward, sideways, and I rotate left and right to lunge. This is one of many lunges, the offset lunge. I consider these exercises less vital to running but useful nonetheless. First and foremost, I enjoy lifting. I also like to stay generally strong and resilient and I want to maintain my lifting skills. Back squat: I like to squat. Squats build general total-body strength. I work up to three heavy sets of three reps. This keeps me from being very sore and doesn’t overstress my nervous system. Incline press, standing press, or dips: I like to maintain some general upper body pushing strength. I work various rep ranges from 3-10. Ab wheel rollout: It’s one of many good ab exercises. I do two to three sets of 10-15 reps. Hitting the heavy punching bag: I’ve done a little boxing training with another trainer and I watch boxing videos. Hitting the heavy bag, throwing combinations, and doing something very different from running is a lot of fun. 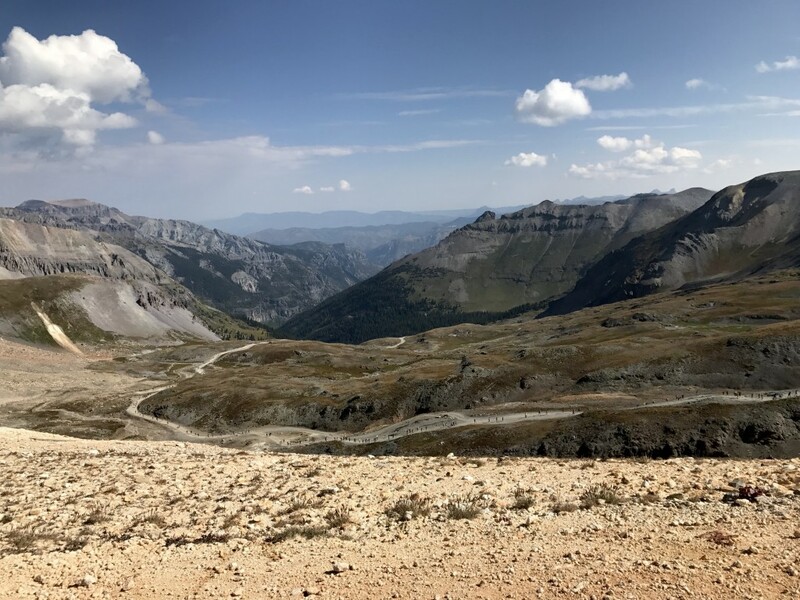 Road cycling and mountain biking: I’m a cyclist! Gotta pedal the machines sometimes. I’m happy if I get two rides per week. I get the lifting in when I can fit the lifting in. I aim to lift twice a week. 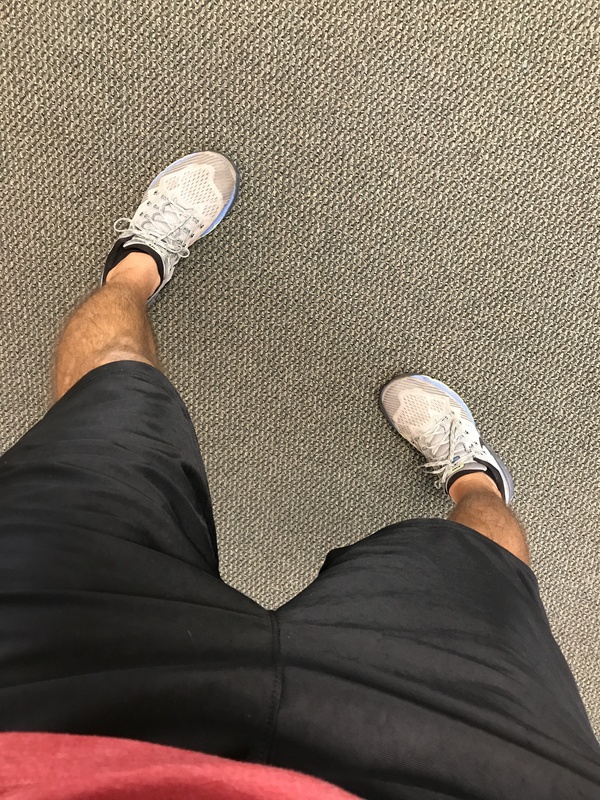 I prioritize the calf work and the plyometric work as I believe those are the most important to my running. Running, work, and other responsibilities dictate that some weeks I may only get one day of lifting in. A common phrase among coaches is, “Make the hard days hard and the easy days easy.” Thus, I try to lift on the hard running days, which are Tuesdays and Thursdays. The problem is I feel better when I have 48-72 hrs between lifting sessions. That means I often lift on easier days. I typically try to do plyometrics on easy days. 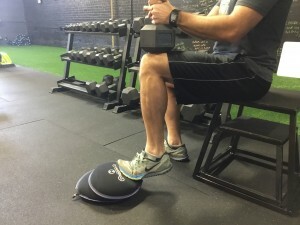 Plyos should be done in a non-fatigued state. On some lifting days, I feel tired or sore from running, or I may not have time to do everything, so the workout may consist of only one or two exercises for one or two sets. Other days, I feel great and I have plenty of time so I get more work done. CONSISTENCY means showing up, even when you don’t want to. It makes you better at not only your craft—via compounding gains—but also the skill of exerting effort itself. Sustainable peak performance isn’t about being consistently great. It’s about being great at being consistent. I’m fortunate to be able to run in the Rocky Mountains. Every trail run features ascents and descents that are often long and/or steep which means significant changes in pace. I often run with a group and I’ve noticed that it’s not uncommon for runners to run too hard on the ascents. It’s easy to hit the redline on ascents, to burn out, and have the run reduced to a stagger. (Sometimes I’m the one running too hard.) This isn’t optimal for racing or training. Running harder isn’t always better. Is my goal to “win” a training run of no consequence? Or is it to train effectively for a specific race? The answer is the latter. Put another way, the purpose of a training run is not to prove fitness, but to improve fitness. In my case, I’m training for long trail races. That means low-intensity running and hiking for a long duration. Thus I need to train my aerobic energy system, not my phosphocreatine or glycolytic systems. The goal for long training runs is to build a bigger aerobic engine. If I run too hard, drive my heart rate too high, and generate too many hydrogen ions (Neither lactate nor lactic acid is responsible for burning muscle. It’s a buildup of H2 ions. The myth must die!) then aerobic conditioning is deemphasized. I’m training wrong and impeding my goal if I do that. At some point walking up a slope is more economical than running. Running economy matters more as races go longer. For a short race, running up a steep hill may be fine because I’m not limited by energy reserves, but for long races, conserving energy matters a lot. 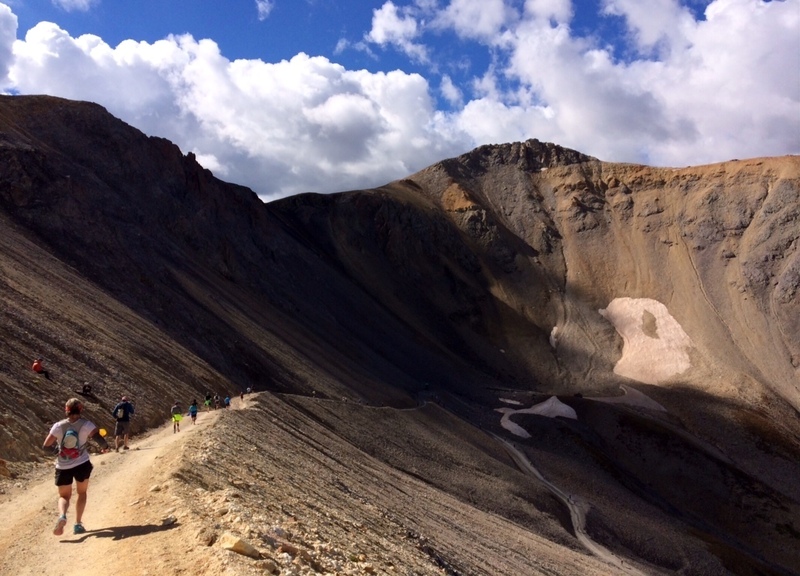 Research from CU Boulder has investigated running vs walking up a range of slopes. One of the researchers, Nicola Giovanelli, Ph.D., discussed the research on the Science of Ultra podcast. He suggests that walking makes sense on slopes starting at about 15-20 degrees. For my purposes, I’ve translated the research into this: Walk early. Walk often. I start walking/power hiking well before I blow up. I stop running and start hiking before I truly need to start hiking. I start before the slope gets very steep. This is similar to efficient uphill cycling in that a rider should shift into a low gear early and before he or she struggles at a very low cadence. I find that I can keep pace with and often pass other runners when I hike instead of run. They work harder yet we move at about the same rate. The ascent often resembles a slinky type of process where we pass each other a few times before we hit the peak. Often, the other harder working runners are completely gassed at the top while I can resume running. 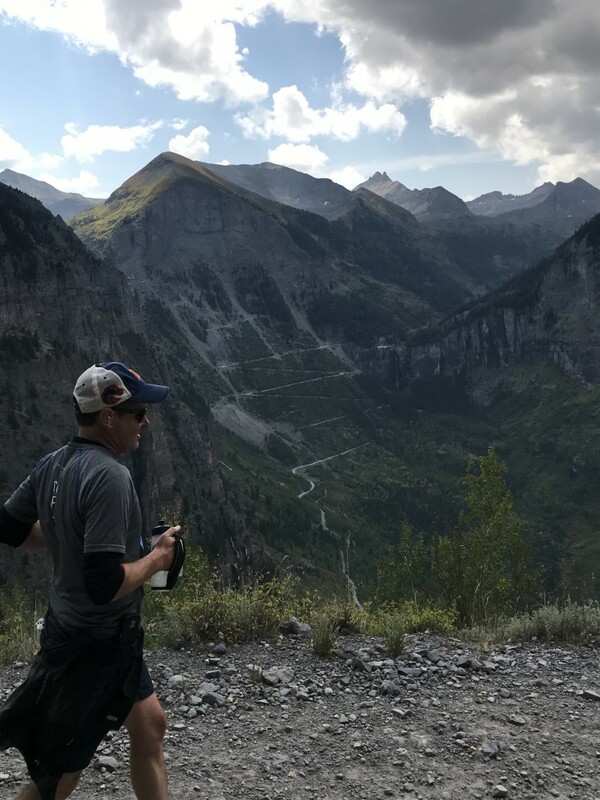 I’m not an elite-level runner, so there’s no question that I will spend significant time hiking and walking during my races, especially during the 40-mile Grand Traverse Run. Therefore my training should resemble the race. If I prioritize my low-end speed, get faster at going slower, then that should help my performance more than developing higher-end speed. One version of the 1-leg tube squat. 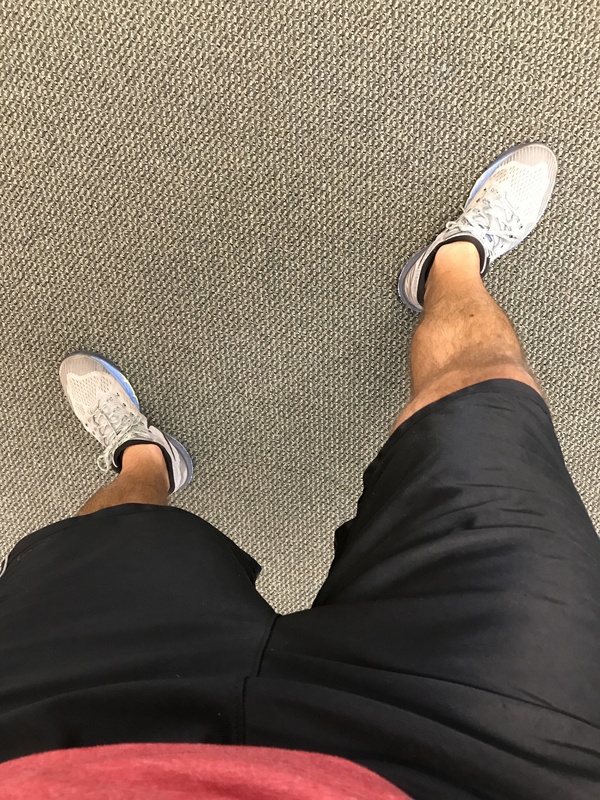 I wrote recently about my experience with posterior tibialis tendinitis. This post continues the analysis of the problem and solutions that helped resolve the problem. The posterior tibialis (PT), and the gastrocnemius, soleus, and plantaris, (all muscles that attach to the Achilles tendon) overlap to some degree in how they function in gait. What do those muscles do you ask? The gastroc and soleus attach to the heel via the Achilles tendon. 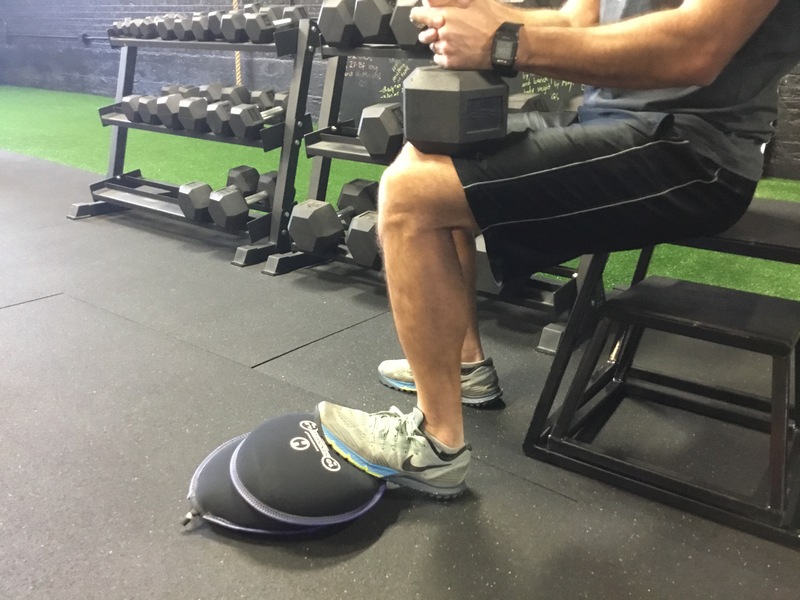 In the case of my Achilles pain, I found relief from strengthening those calf muscles through doing a lot of slow, controlled heel lifts. I thought the same approach would resolve my PTT. I was wrong. I believe that my efforts at strengthening the PT and the PT tendon aggravated the problem and caused more foot pain. I believe my PTT was rooted in a rigid left arch and rigid plantar fascia. Among many runners, the word “pronation” equates to “bad.” That’s wrong. (Uncontrolled or excessive pronation is bad.) Pronation is a necessary movement that contributes to deceleration of the foot, lower leg, and the rest of the body during foot strike. 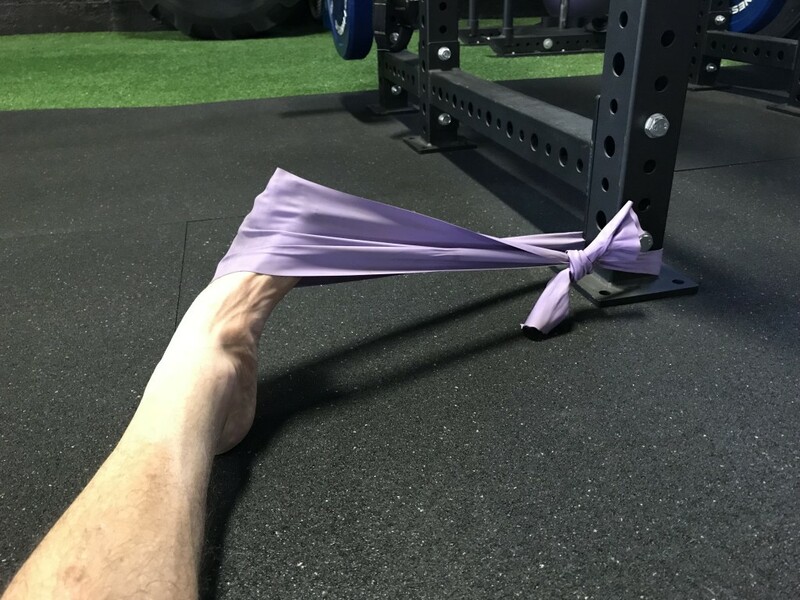 As the arch collapses, the plantar fascia acts as a leaf spring, storing then returning valuable energy that helps propel the runner forward. This energy return occurs as the foot supinates with the arch lifting as the runner pushes away from the ground. The plantar fascia isn’t the only participant in this process of energy absorption and return. All the muscles and connective tissue throughout the body contributes to the process. The tendons of the lower leg, such as the Achilles tendon and the posterior tibialis tendons, are highly active during this process. If everything is moving correctly, in control, and in a coordinated fashion then the impact forces of running are distributed efficiently among all of the muscles and tendons. I foam rolled the calf. You probably know how to do that. If not, look on Youtube. Dorsiflexion/Eversion. Think of pulling the pinky toe up and to the outside of the knee. Arch mobilizer: It takes time to make changes to tissues so I do this frequently throughout the day. Gait check: This is HUGE! In my first meeting with running coach Andrew Simmons of Lifelong Endurance, he noticed several problems with my gait. These were problems seen in the past with my gait. A low-energy gait. My legs weren’t rebounding off of the ground sufficiently and the whole gait cycle was sluggish. Now, as I run, I think of a strong, quick, powerful push into the ground. 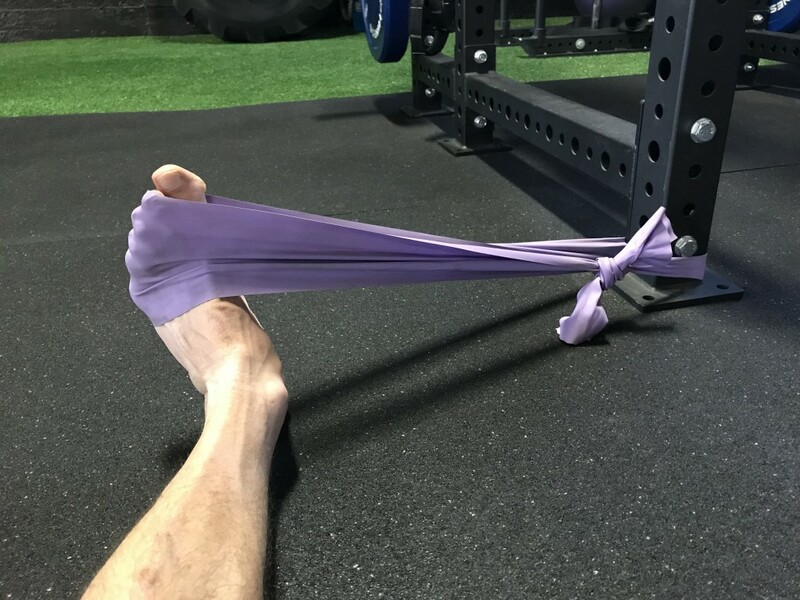 I drive the leg behind me, and I push the ground behind me.When I run correctly, my foot spends less time on the ground and the tissues spend less time under stress and I’m more efficient. Read How to Run: Running With Proper Biomechanics by Steve Magness for details on running technique including the need for hip extension. Solving the riddle of the sore left foot has been a prolonged, tricky struggle. Every time I find relief I think I’ve solved the problem only to have some other problem pop up later. That said, I now think I’ve figured it out. I could be wrong. Maybe some of this information will help other runners overcome their foot and ankle troubles too. A client said that to me when I recently told her I’m training up for a March 5k, the Cherry Creek Sneak in Denver. She knew I’d run several big, difficult trail races and two marathons. She figured a 5k would be easy for me, and in terms of distance, yes, running 3.1 miles isn’t a big deal. But to run it fast…? That’s the challenge. It seems like most grown-ups think about running longer and farther. Many of us look at the marathon, or in trail running circles, ultra-marathons, as the ultimate running thing to do. Similarly many of us look at 5ks and 10ks as fairly easy runs done just for fun. Most runners progress from the shorter runs to longer runs, leaving behind those short runs doing them mainly for training purposes around their long-race goals. In contrast, grown-ups rarely look to run faster. (In comparison, ever watch kids run? They only sprint!) I want to run faster. As I’ve said before, I love the training process. I want to experience the process of speed development. I’ll be doing track workouts and tempo runs, which are very different from trail running. I like the idea of doing work all along the energy system continuum, with short, powerful efforts at one end, and much longer efforts at the other. It seems to me a well-conditioned, athlete should make stops all along the way. 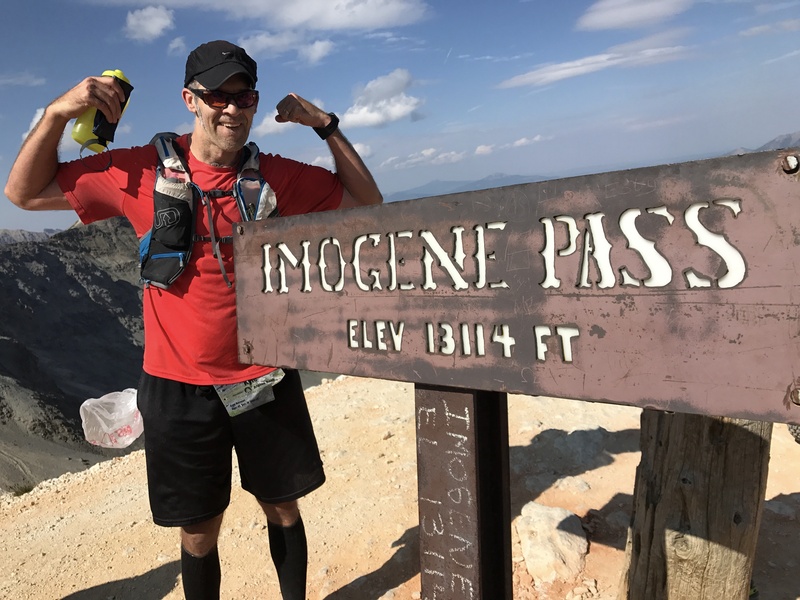 I ran my first Imogene Pass Run last weekend and it was a monumental experience. The race was both exhilarating and brutal. The environment and scenery were stunning beyond words (but here are some words.) Living in Colorado, we get used to seeing some amazing scenery. That said, the landscape of this race course was inconceivably dramatic. The San Juan Mountains are the creme de la creme of what Colorado is all about. 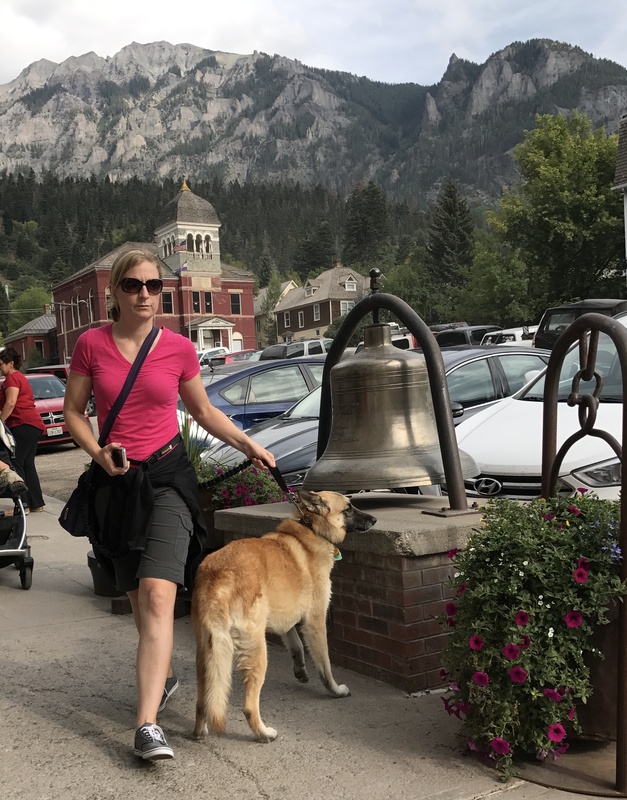 My wife and I loved the town of Ouray and we can’t wait to go back. The weather was beyond perfect. No rain whatsoever until just after I finished in Telluride. I can’t fathom running this race in foul weather, but run this race in foul weather indeed they do. Before going much further, I must give credit to my coach, Mary-Katherine Flemming for helping me prepare for this monster. My hiring her to help me was an excellent decision. She planned a variety of progressively challenging workouts, gave me honest, useful advice, and made me feel confident as I moved toward the race. I plan to enlist her again in future races. I was very pleased with my uphill abilities. None of the climbing was easy but 99% of the time I felt strong and able. The final mile was rough. And by rough I mean nasty. (I’m holding back on the foul language that’s essential to describe what I’m talking about.) The average gradient was 18.9% with a max gradient of 33%! Steep slopes plus an ever thinning supply of O2 was almost overwhelming. That the fastest runners are still running at this point in the race is an absurdity to me! A brief pause before the summit. Look closely. Can you see the people on the trail? Slow-slogging it was an attractive option at times. I saw many participants doing a sort of meandering tromp and the siren song of a slower pace was enticing. It definitely felt good to slow down just a bit. I didn’t allow myself to get comfortable though. I was there to do the best I could, not be comfortable. I didn’t “just want to finish.” So when the going got very tough I continued to push as hard as I realistically could while not blowing up. I found smaller quicker steps were better than long strides. Try climbing stairs two or three at a time vs. one step at a time and you’ll experience this. Sure you can go faster if you take longer steps but you’ll burn out faster too. That’s not a successful strategy for this race. The hard part is over! The MONUMENTALLY hard part is about to begin. Savage and unrelenting are good words to describe the descent. The entire route was loose rocks and dirt of the sort that demanded constant attention, focus, and concentration. There was never ever an opportunity to coast, to relax, to take it easy in any way. To let the mind wander was to fall and f__k oneself up badly. The start of a long, technical downhill. Much soreness awaits. I experienced a very strange sensation during the descent. There were were times when I wanted to close my eyes and fall hard asleep. It was almost like I had narcolepsy or something. I’ve never had it happen before. I actually felt like I could’ve napped on my feet. I have no idea why. Do I have to mention that this experience was no help at all? The technical descent demanded that I focus just a few feet out ahead to know where and how to place my feet. This was an exceptionally difficult task, especially as the descent took over an hour. The urge to let up a little, concentrate a little less, and look well down the trail was alluring but it would’ve been a disaster had I done so. So the entire descent involved determined concentration. If you’ve ever had to concentrate while (extremely) fatigued then you know it’s a uniquely difficult task. I have no idea where that switchback road goes. I’d like to find out. I had some cramping near the top of the ascent. They continued to flare up during the descent. I had some cramping episodes during training runs and I wasn’t surprised to cramp during this race. What worried me is that I’d cramp badly and be reduced to a walk. That would’ve crushed me. Fortunately, I developed a strategy during training that allowed me to keep the cramps at bay to an acceptable degree. I employed that strategy in the race and though not perfect, it again allowed me to keep running. I ran while internally and externally rotating my femurs. In other words, I’d run for several strides alternating between a duck-footed or pigeon-toed position. Somehow this would push the cramps away for a while. I had to do this several times during the descent. It’s definitely not an optimal way to run, especially over rough ground, but it worked. I also had to walk but only a very little. My belief is that I employed the principle of reciprocal inhibition to relax my cramping muscles. Here’s an example: The muscle opposite your bicep is your tricep. Contract your bicep and your tricep will relax to allow for elbow flexion. That’s reciprocal inhibition and that’s how we move. In my case, my adductor muscles (inner thigh muscles, aka hip adductors and internal rotators) cramped. Thus I guessed that by activating those muscles’ opposite numbers (my hip abductors and external rotators) that I might be able to calm the cramping inner-thigh muscles. Seems to have worked. Further, it’s possible that by altering my bone and joint positions with this weird running technique it allowed some of the cramping muscles to rest just a little bit. I won’t go into all the details of muscle cramps but I’ll say that it’s highly unlikely that it’s either dehydration or electrolyte depletion that causes them. It’s more along the line of intramuscular dis-coordination. For a brief and worthwhile discussion on the current ideas on muscle cramps and how to avoid them, then follow that link. I like those results. This race was no easy fun run. You have to come prepared to finish it. I worked hard and I feel like I belong among some high-end athletes. I want to do my best and I want to get better. The top finisher in my age category finished in 3:02. I wonder how close I can get to 3 hrs… Coach Flemming, what are your thoughts? I would love to get this thing done in under four hours. That seems realistic in good weather. If I want to race this race faster and/or just feel better then I need to improve my downhill conditioning.The descent is 7.1 steep, loose miles which is a very long distance. With that in mind, I need to dedicate more time to running downhill on witheringly tired legs. There aren’t many opportunities outside of this race course to descend that far. (If you know of one in the Front Range area, please let me know about it.) I will confer with my coach on the subject but in my mind, I might want to incorporate something like giant hill repeats. For these I would run up something like Chimney Gulch, Mt. Falcon, Deer Creek, parts of the Bergen Peak Trail, or maybe best of all, Herman’s Gulch, then run back down and repeat the whole nasty process a few times. I think a few near-crippling workouts like this might help me survive the horror show/descent a little better. Here is some superb photo documentation of the race. This guy isn’t me and I don’t know him but he deserves accolades for how well he captured the runners and the exquisite scenery.